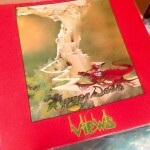 After a very kind gift from Conan J Robison, I am now the proud owner of ‘Views’ by Roger Dean. Published in 1975, this is an amazing book. What else did Roger Dean do at the start of his career? 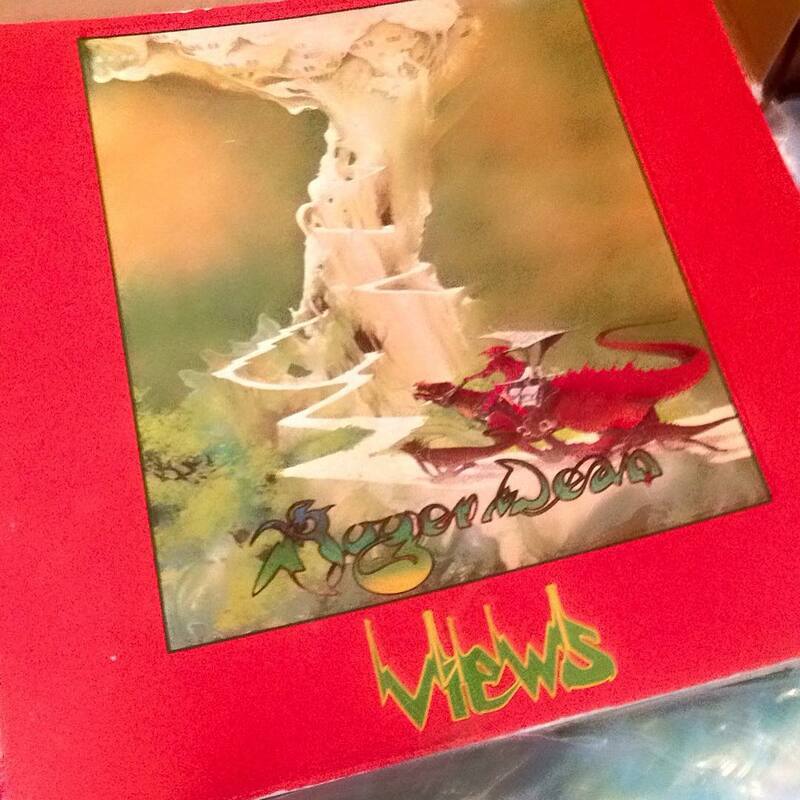 Is there a link between Roger Dean’s art and Yes’ music? How much of Dean’s work for Yes is covered in this book? I have a copy of this, a reprinted version from this century, as well as the two follow up books. I highly recommend you get copies of the other two. Sorry, I’m not quite so generous as Mr. Robison, as I really want to hold on to mine and don’t have the cash to gift them to you! There’s lots of his Yes material – probably all of it – reproduced with great imagine on high quality paper. Photographs of his stage sets are included, and his work for other bands like Asia and Alan White’s band are included. It’s also interesting to see some of his work outside of album covers, like illustrations for the game Tetris. 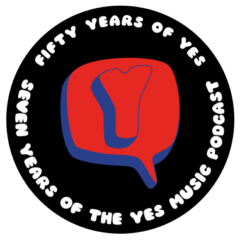 As a fellow Yes enthusiast, these three are must-haves for your coffee table. It’s easy to dismiss Dean’s artwork as kitsch for stoners, but I have always the dynamism in his work – even when it’s just a landscape being pictured, I love how the mesas and mountains seem to be reaching for the sky, not simply standing there (as the song goes). And perhaps I’m easy to please, but I love his choices of vibrant, well-balanced color – something that must’ve stood out in the 70s when browns and earth-tones seemed to be so popular. The most disappointing Dean paintings, for me, are the ones that lack this color and motion – I’m sorry, but the covers to Union and Rick Wakeman’s Greatest Hits just look like pictures of rocks, and that’s all. My first exposure to Dean’s work was the cover to Asia’s first album, and I have been captivated by it ever since. Thanks for the great comment, Chris! I will indeed need to get the other volumes. So glad you enjoyed the episode. Keep listening! Another interesting episode. Being a huge fan of Roger Deans work I was curious to hear what you thought of this book. I’m guessing most people would call this his golden period since it includes probably his greatest cover Tales from Topographic Oceans. Once again great insight Kevin and keep up the great work. Many thanks as always Mark. I appreciate all your contributions to the YMP! Happy New Year! I have fallen a bit behind on the podcasts, and am using today’s holiday to catch up. I wanted to mention that Big Generator has been remastered and reissued with bonus tracks–but you can only get it if you buy Rhino’s ‘Studio Albums” box set. Ah well, it just so happens…I have that box set now…!! I will take a look. Thanks for the comment! Part of the Christmas haul? Excellent!